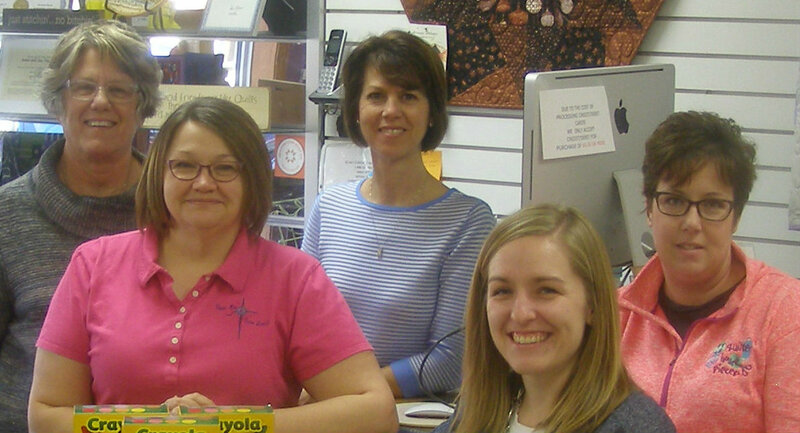 Sew On & Sew North is a quilter's paradise located in downtown Langdon, North Dakota. You will say "it's worth the drive" as you're looking at our more than 2,000 bolts of fabric. There are fabrics from civil war reproduction prints to modern brights. We have many beautiful samples on display to spark your creativity. We have books, magazines, notions, and kits as well. We are very lucky to have several "volunteers" who pop in to help out occasionally. While you're here, check out our Elna brand sewing machines and see why they are "Elna Smooth". Elna has a machine to fit anyone's needs and we will help you find that perfect fit. We service Elna brand machines.